Bringing a touch of the classic carnival and fairground to any room in your home, this simple yet enduring Scaramouche wallpaper is a warm and welcome addition. It is part of the Whimsical Collection by Cole and Son and captures the elegance and charm that this collection is known for. The whole range has a touch of nostalgia about it but it remains enchanting and entirely captivating, with inspiration from the tales of childhood. 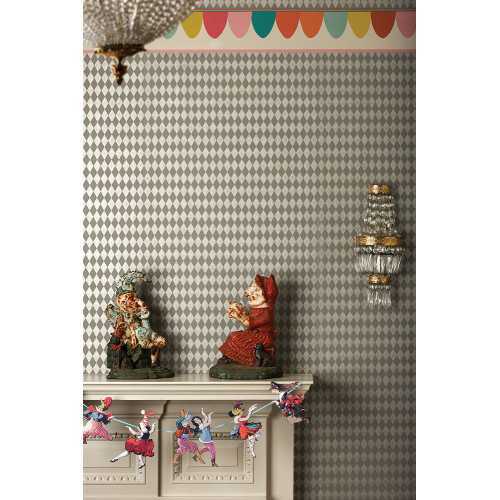 With a surprisingly simple design featuring plain shapes and contrasting colours, this Scaramouche wallpaper border can brighten up the dullest room or finish off a space which is missing the final touch. 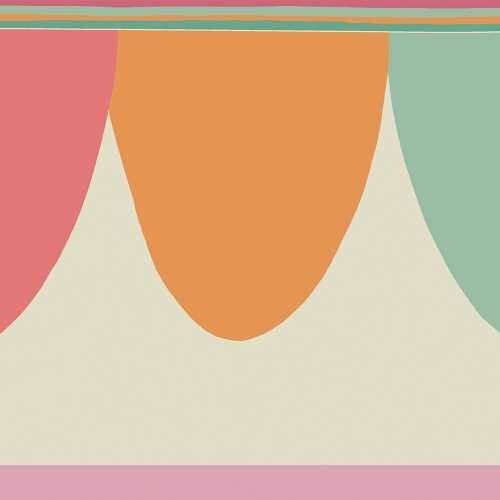 The soft round bunting style of the print is gentle and charming, bringing character to your home. 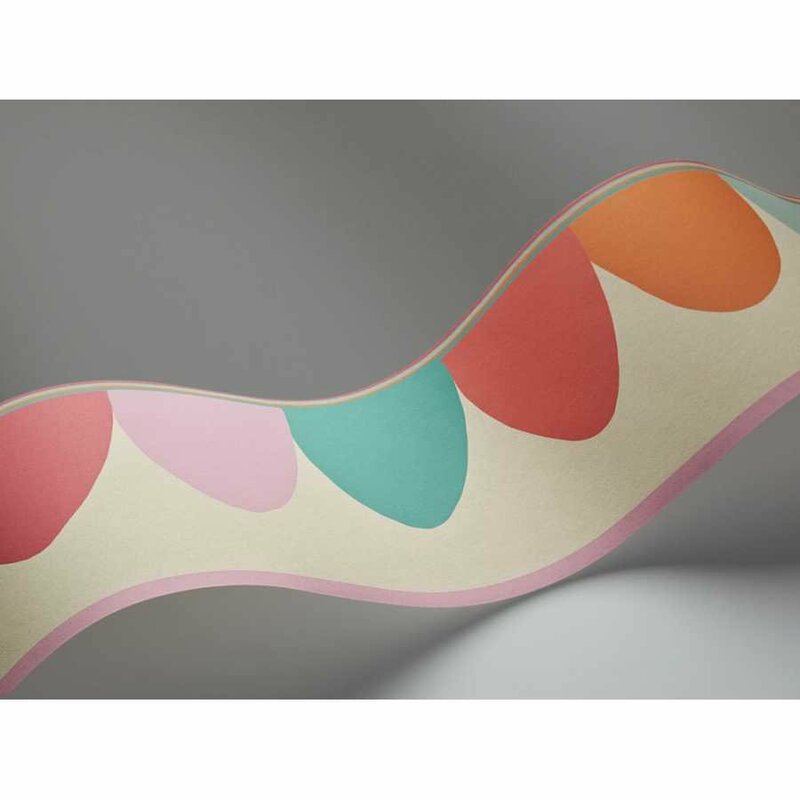 In this 103/8029 colourway, it is presented in a bold range of exuberant bright shades. Each roll of Scaramouche wallpaper measures 13cm in width and 10 metres in length and it also has a 50.4cm pattern repeat. The slim nature of the design means you can hang it with ease anywhere in the home and anywhere on the wall to suit your overall interior design.